Sometimes it can be better to pay twice. 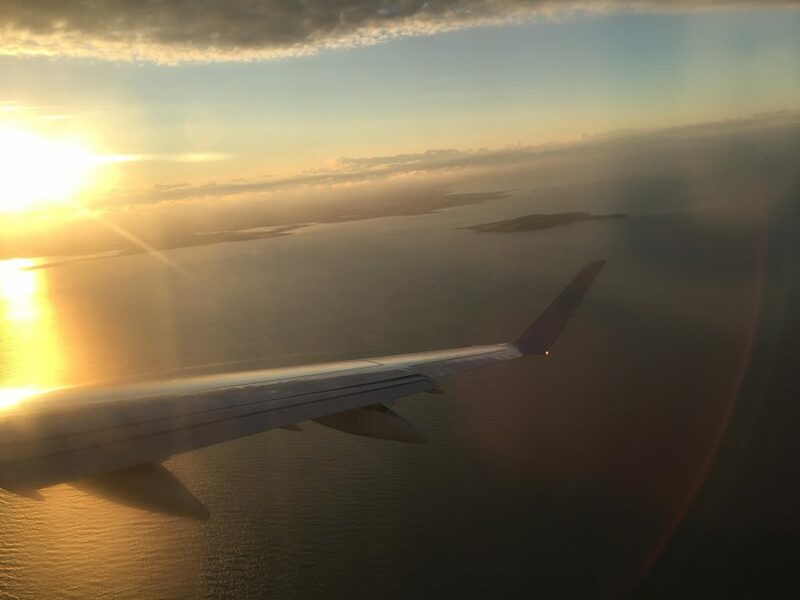 Yesterday I wrote about how redeeming frequent flier miles can often leave you with a very flexible ticket, that allows you to change things at short notice, for very little penalty. The flip-side of that is that you are often constrained by limited award availability. 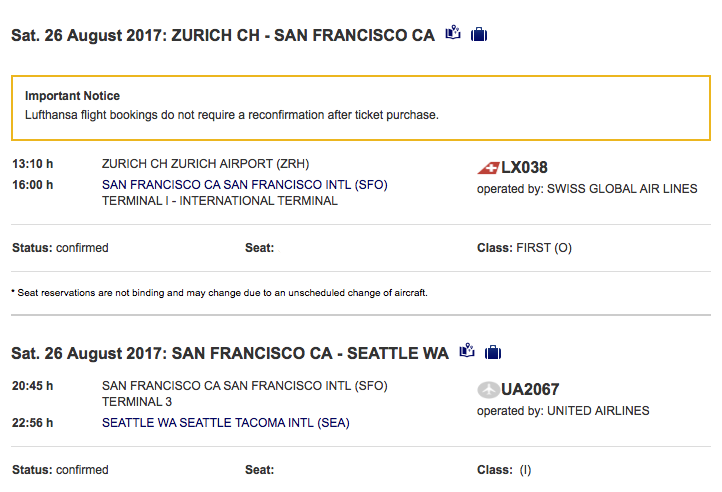 For example, this weekend I’m off to the US, travelling with Swiss to San Francisco and then connecting up to Seattle, WA. I only changed this flight a few days ago, meaning that there was very limited availability on flights from San Francisco to Seattle with United. I was due to arrive at 16.00 and then fly onwards at 20.55 up to Seattle – making it an almost five hour layover. That’s not ideal, especially after a twelve hour flight. So I looked for alternatives. Alaska Airlines are keen to call themselves Seattle’s hometown airline and are certainly the largest carrier out of the city. They are also a partner of British Airways, where I have a substantial balance of Avios. However, it’s not possible to check availability online via British Airways website, nor book online; you have to call for both. However what I’ve found is that Alaska’s availability to British Airways seems to be quite generous. 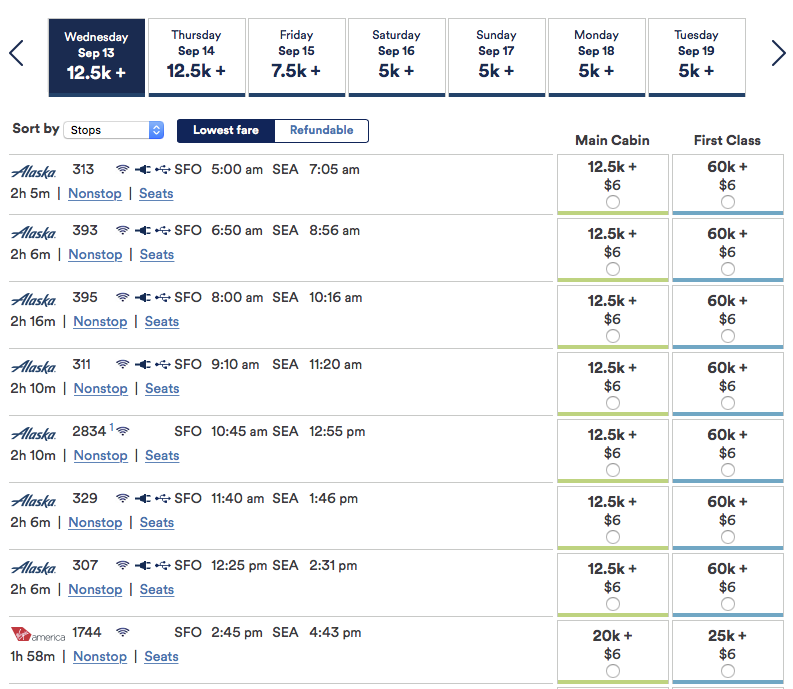 For the San Francisco to Seattle route, they offer economy awards to their own members at 5K, 7.5K, 12.5K and 20K miles. As long as there is availability at 12.5K miles or fewer, this seems to be available to book using Avios for 7.5K. So I called up the British Airways Executive Club and a few minutes later I had an email confirmation bringing my connection down to a much more manageable 2h 45m. For me, it’s definitely worth 7.5K Avios, not to hang around at an airport for an additional 2 1/2 hours. It’s frequent flier currency well spent, and absolutely well worth paying twice. However, as I mentioned, most awards are flexible up to 24 hours before departure, and as a Gold Guest List member, British Airways won’t charge me any fees if I choose to cancel. Other members have to pay a £35 fee. So in addition to this, I used Expertflyer to check if any other seats were to come available on the earlier United flights. It has a great feature, where it will regularly check flights that you specify if availability in a certain booking class is released. 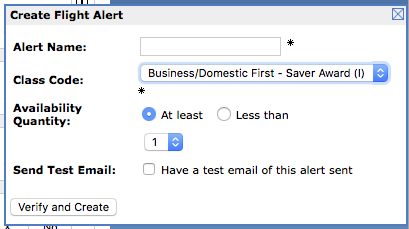 There were two earlier flights that I was interested in so set up an alert. Sure enough, a couple of days before departure, an email landed in my inbox. Whilst it wasn’t in business/first class, it is a relatively short flight so was perfectly happy to travel in economy. Normally it would be a further €50 fee to change to the earlier one, but the Miles and More team had made a couple of mistakes with the booking which they apologised for and the supervisor had authorised the team to make changes to this leg of the booking free of charge. After a few minutes on the phone, my e-ticket was revalidated for travel on the earlier flight. So in summary, award travel can be very flexible, inventory can be very dynamic and sometimes it’s worth paying twice to get where you need to go in a timely fashion. In this case it came good, but it may not have done. Next Post: Swiss First. Part One. London to Zurich.